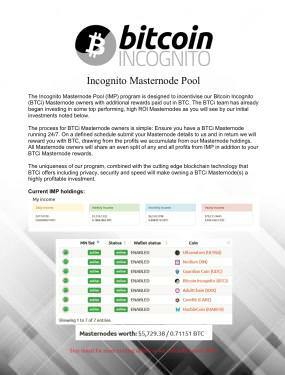 Bitcoin Incognito is a truly anonymous and fast cryptocurrency which sticks to the original standards of Bitcoin; keeping the user base incognito. 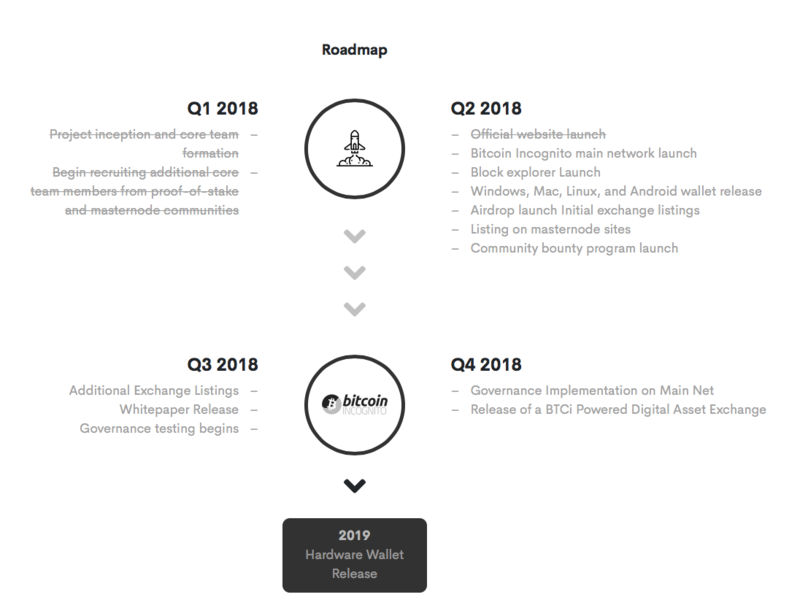 By implementing Zerocoin Protocol and Proof-of-Stake technology we believe we are the closest thing to Satoshi's vision since Bitcoin itself. Our goal and purpose is to provide a truly anonymous currency which helps our users stay incognito in the cryptosphere.